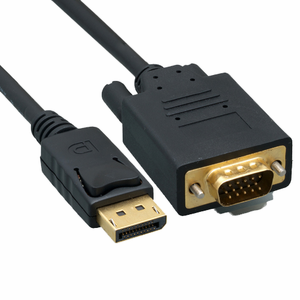 Use this DisplayPort to VGA cable to connect DisplayPort enabled desktops and laptops to a VGA display. This WILL NOT WORK in the opposite direction. If you have a DisplayPort Monitor, this is not the cable you need. This is a video cable only. Audio is not supported through VGA.